Eighteen churches and evangelical organisations shared their faith in Jesus Christ and their social work. 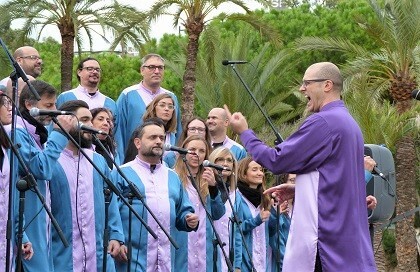 The event at the central park of the Spanish city ended with the music of a local Gospel Choir. 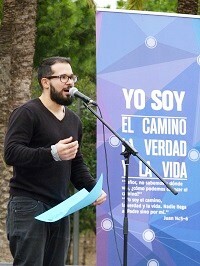 Eight churches and ten evangelical entities of Valencia (Spain) celebrated the second annual ‘Protestant Exhibition’. 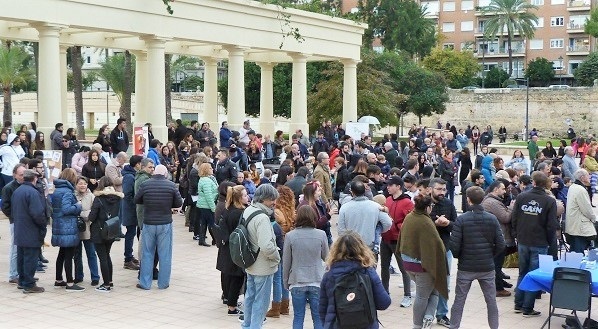 Despite the cold temperatures and the threat of rain, about 300 people gathered at the site near the Music Palace, in the central park Gardens of the Turia. “‘I am…’ was how Jesus identified himself in many occasions. 2,000 years after his words, and 500 years after the Protestant Reformation that changed Europe, the evangelical Christians in Valencia live this faith in Christ not only in our churches, but also in all other areas of society”, the organisation said. Throughout the morning, youth groups of the churches performed short representations of the Bible verses. 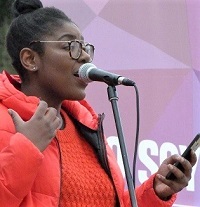 More than 50 young people shared the messages through songs, drama and short presentations of the gospel. Meanwhile, members of entities working in the city explained how the message of the good news applies to social issues. The organisations informed about their projects in areas such as student ministry, anti-trafficking, food banks and international aid. Children who attended the event with their parents had also a chance to play games. The ‘Protestant Exhibition’ closed with a concert of the Gloria Gospel Choir, formed by singers and musicians of the area of Valencia. Since 1993, the choir has recorded several live albums and has appeared in television. Their lyrics about the hope found in God were heard from a distance, and many passers-by and tourists stopped to enjoy their music.